Playful, cultured, artsy and timeless… you couldn’t find a better ambassador for the French capital than Le Royal Monceau Raffles Paris. Two fine dining restaurants, one French, one Italian and a cosy, chic and trendy bar. The staff was superb and very helpful. The breakfast was very good as well. The room was a nice size and very comfortable. Overall a very nice experience and I would recommend the hotel to friends. This is a lovely hotel with great design, staff and facilities and our recent stay has reminded us that we need to stay again in the near future. You'd have to be really picky to find fault with this hotel. I've been to numerous palace hotels and this one is easily among the top three in Europe. A fabulous stay thanks to the quality of the service and friendliness of the staff. Perfect for a short Paris getaway. One of the best spas I've ever been and the largest swimming pool in Paris. The staff is super friendly. It is an extraordinary place. The public spaces are engaging, the rooms and restaurants combine stateliness with comfort but the most impressive element is the cheerfulness of the staff. All the receptionists were delightful, allowing me to blunder through the whole process in present-tense French (they all speak perfect English, in fact) because I wanted to. The concierge was very helpful and the doormen (one in particular) were helpful, approachable and amusing. In the restaurants and bars the waiting staff were considerate and charming. Everyone seems happy to be working there - which is a real achievement. I would wholeheartedly recommend the hotel. 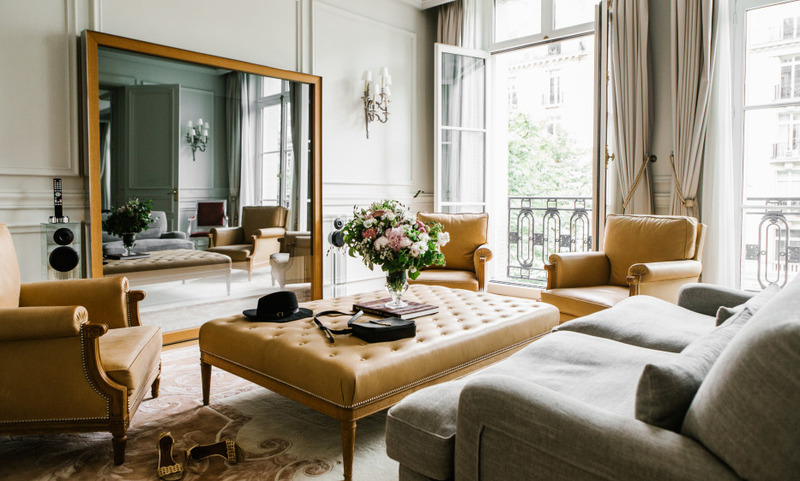 I very much like the Royal Monceau and its modern style. The upgrade was particularly appreciated! The service was exceptional. Especially the patience and help front he concierge. We had a great experience in a beautiful room. The staff was welcoming and helpful. The room was well cleaned. We loved our entire experience in Paris and with the hotel. In our opinion, the hotel is nearly perfect and very well located in Paris! The most beautiful room and the best equipped that we’ve had in Paris. Great hotel. Nice for a stay in Paris away from the noise. Le Royal Monceau is a fabulous hotel with a staff of high quality. Being a regular at the hotel, the customer recognition is just perfect. The site Grand Luxury Hotel offers benefits that I have only discovered during my last stay. The guest relation manager of the Royal Monceau advised me to book directly on your site. So thank you to the Royal Monceau for the wonderful moments that we spend and thanks to Grand Luxury Hotels for their superb offers. The hotel is very well decorated. Luxurious yet contemporary with great atmosphere. The bathroom is very original, TV in the mirror is very well thought out. The room size is decent. Soundproofing between rooms is poor (we had a room that could be interconnecting with noisy neighbours) The staff is attentive and has found the answer to all our requests and complaints. However, some materials age faster (damaged furniture) and spa area and pool is not luxurious enough for a hotel of this level.